2018 was the year where the smartphone has seen the lots of design change and Notch display was the biggest trend of the year. Top manufacturers have opted for the design like OnePlus, Nokia, Honor and all most all the Chinese OEM’s. Samsung is the only company who has kept the distance from the design till now and now it seems that with all the new technology company is going to change the design of smartphone completely. New design technology can help in achieving under display camera technology. The Korean electronics giant is working on a new display system that would place the camera system and other sensors under the phone's display. Samsung Display held an “AMOLED Forum” event with about 20 attendees in China. They talked about a number of under-display features, including in-display fingerprint scanners, screen sound technology, touch-sensitive areas, and Under display camera. 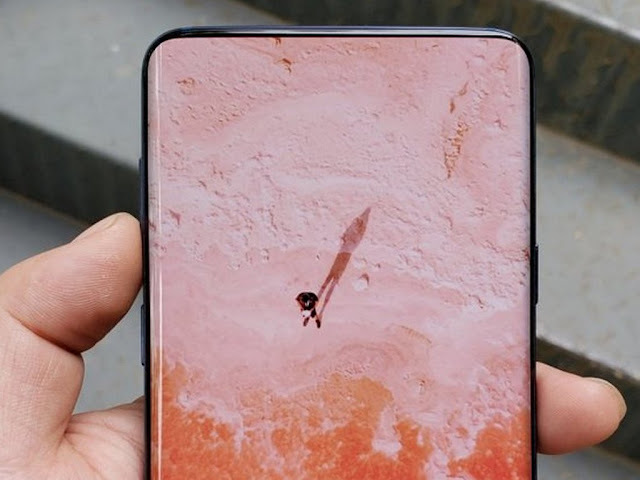 The basic idea, assuming this is really a camera under the display, is the display would be able to become transparent when you use the front camera, but in other situations, it would display content normally. At the event, the Korean giant revealed that it was working on a new display technology with FoD, HoD, SoD, and UPS. You must be confused about the terminology we have used. But these terminologies were used by Samsung in the presentation. As we also have not many details about the technology lets have an overview of what they mean. FoD stands for the Fingerprint on Display, which is quite clear that Samsung is talking about the in-display fingerprint. HoD stand for Haptic on Display, which is basically about the 3D touch of the object on the screen. SoD stands for Sound on Display, which basically will help in getting rid of the front speaker which is the biggest hurdle in getting the full display on the smartphone. UPS stands for the Under-Panel Sensor and this will help in achieving under display camera technology and other sensors under the display. These technologies indicate that soon there would be no need for a notch or a mechanical slider on a smartphone to house the front-facing camera and other sensors. It may be the first true step to realising a bezel-less future on smartphones. In any case, we are not going to see this technology being implemented on the upcoming Galaxy S10 or for any phone next year. Only a few prototypes have been tested with this technology and it is believed that it will not be used on any kind of commercial smartphone until 2020.